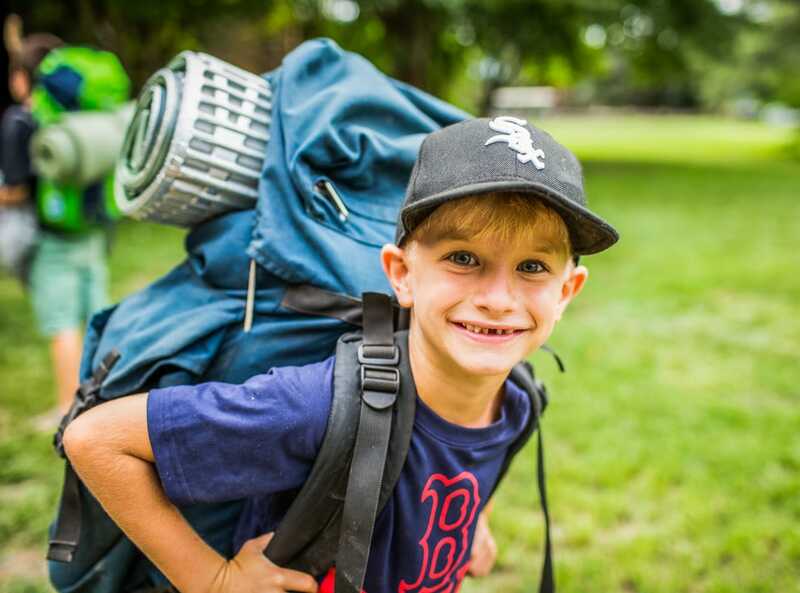 Within each camp session, a camper’s experience varies depending on his age. From placement of cabins to the language used to bless and encourage, every aspect of camp is thoughtfully tailored to the developmental needs of your camper. The age divisions also create a smaller community where every camper is known and appreciated. Our youngest campers in Bear Camp sleep in one of two lodges located in the center of camp, just steps away from the dining hall. We strive to bless these campers with plenty of affirmation and success at new activities, building up their self esteem and reservoir of confidence. During weekly council, the focus is on the camp motto…strength and gentleness, force and refinement, mastery of body, and servitude to God. 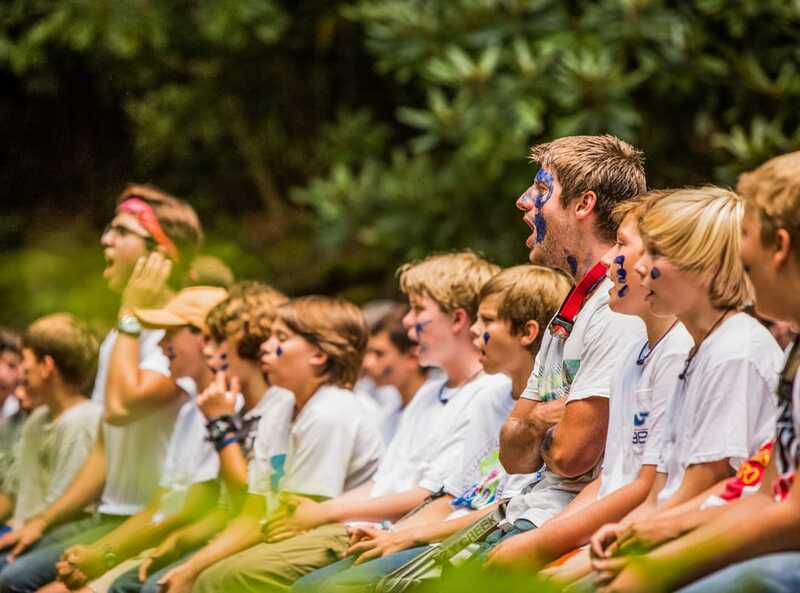 In addition to participating in group games and activities (“tribal activities”) campers can choose from over 20 skills to specialize in, including crafts, nature, outdoor skills, canoeing, disc sports, and air riflery. Campers venture into the woods for one night of outdoor camping. Deer Campers reside further up the mountain in cabins that feel like tree houses. The emphasis continues to be building up these campers, while also offering meaningful invitations into a life of service. During council, the focus shifts from the camp motto to the four marks of a godly man…rejecting passivity, accepting responsibility, leading courageously, and trusting in God. A number of additional skills are available for this age, including kayaking, mountain biking, and rock climbing. Deer Campers spend more time in the woods, camping outdoors two nights and hiking to the highest point on camp, Eden Rock. Mountain Campers reside further up the mountain and many of their activities span the breadth of the property. 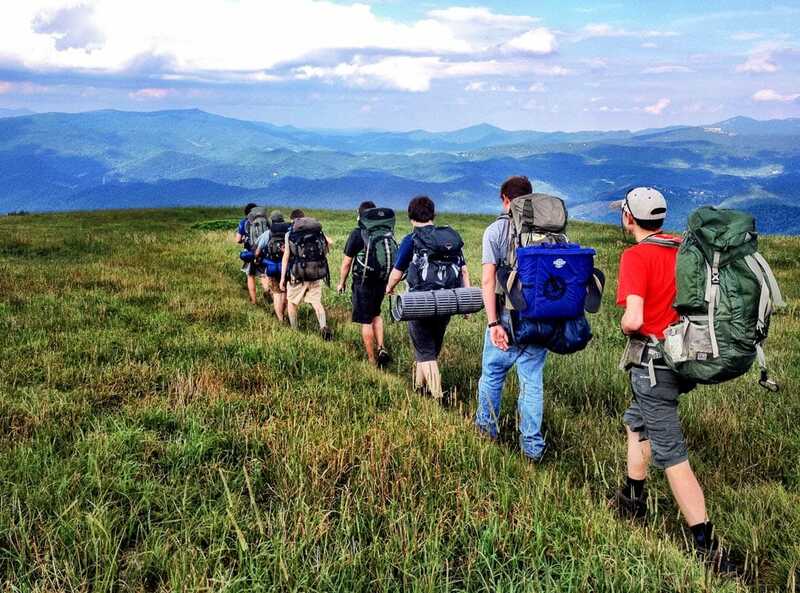 While we always strive to affirm everyone at camp, there is a shifting emphasis in Mountain Camp towards challenging campers with personal goal setting. Council at this age integrates the camp motto and four marks of a Godly man, as well as ranks aimed at encouraging growth. 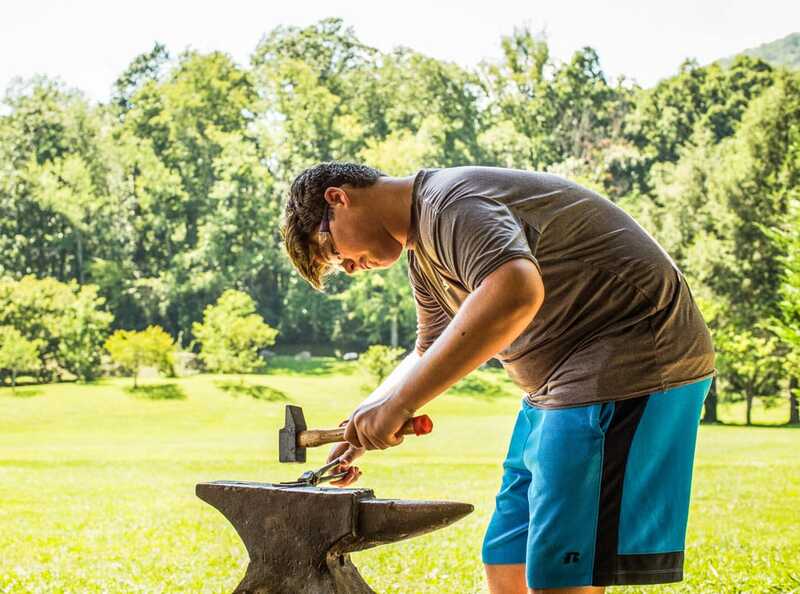 More activities open up for this age, including trap shooting, blacksmithing, and photography.